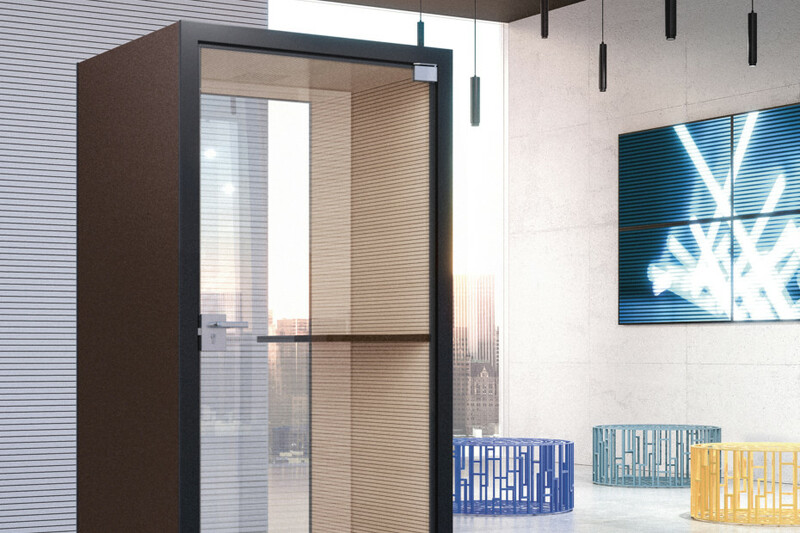 In response to the increasing demand for areas of privacy within contemporary working environments, Fantoni's range of acoustic pods expands to include a new phone-booth version. 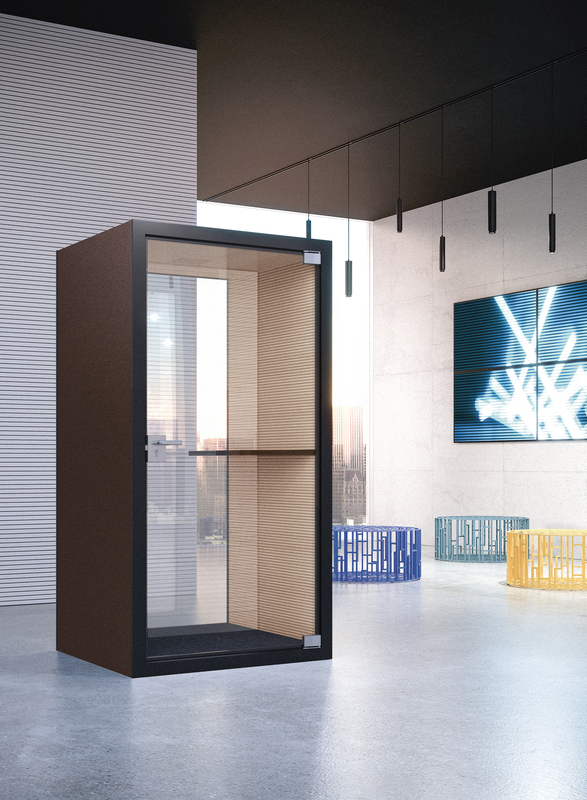 Mini is a comfortable and well-lit phone booth (L118 x D108 x H228), with a self-supporting structure that can be moved even after assembly. 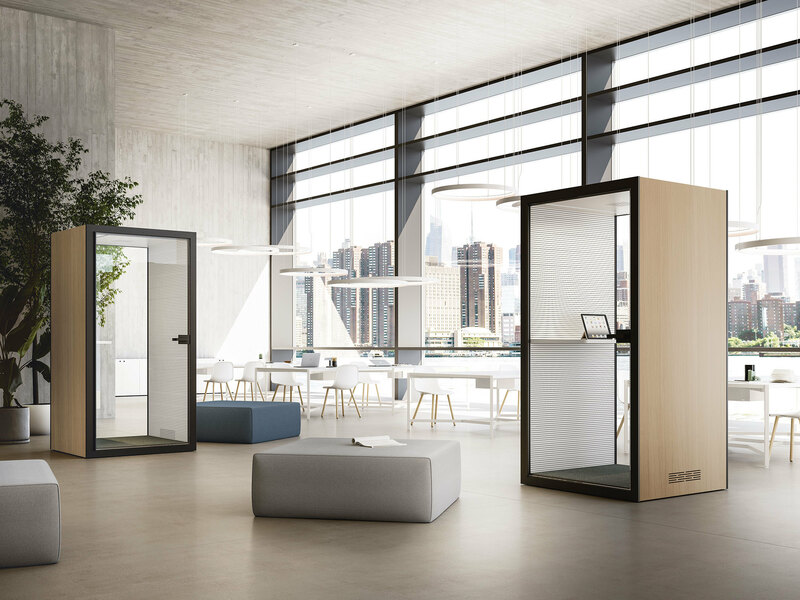 Comprising two blank walls, one fixed glass side and one with a door, the interior is lined with a 4akustik sound-absorption system, while the exterior can be covered in melamine facing or fabric. 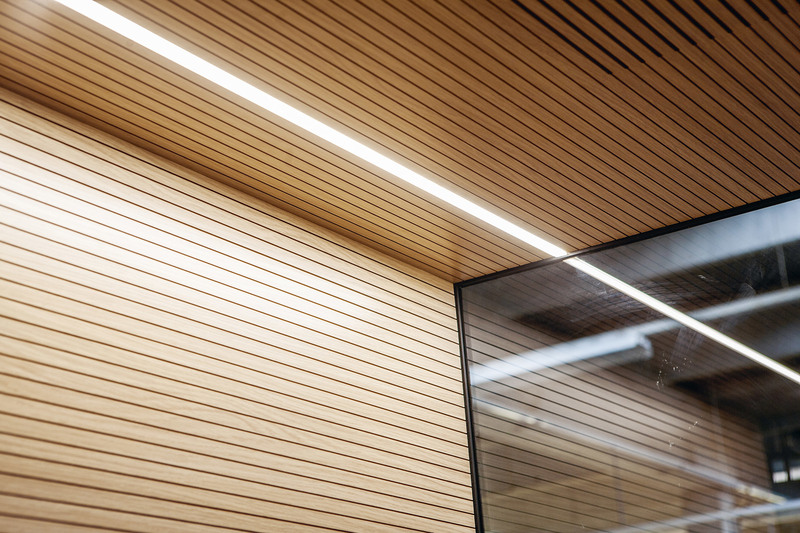 Mini is supplied complete with flooring, ventilated ceiling, table and integrated LED ceiling lights, and is prepared ready for the installation of electric sockets. This is a solution that will integrate easily into existing layouts, to create harmonious connection spaces, increasingly at the service of working people. Architektur und Interieur verschmelzen im Headquarter einer Bank in Bahrain zu einer Einheit. Ja, ich stimme zu, dass meine Daten an den Hersteller Fantoni zur Bearbeitung meiner Anfrage weitergegeben werden. Diese Zustimmung kann ich jederzeit widerrufen. 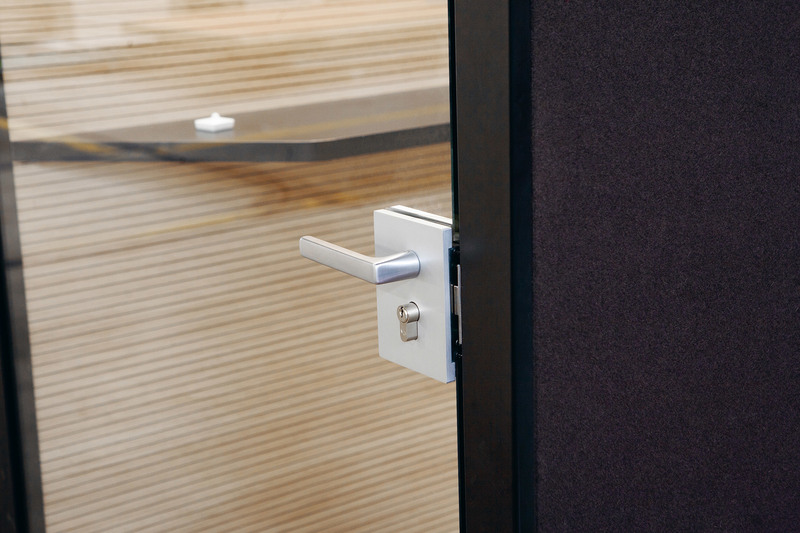 * Bitte stimmen Sie der Weitergabe Ihrer Daten an den Hersteller zu, damit dieser Ihre Anfrage erfüllen kann. Ja, ich stimme zu, dass der Hersteller Fantoni meine Daten für Marketingzwecke speichern und mich darüber kontaktieren darf. Diese Zustimmung kann ich jederzeit widerrufen.